Bounce houses, museums, and parks are just a few of the options for locals and tourists while in Kyle, Texas. This lovely city has many things for a person to do. Whother you are walking through the Steeplechase Park or enjoying a round at the Plum Creek Golf Course a toothache may seem like something to ignore but don’t. Tooth pain is an indication you have a problem, it is vital that you have it checked out. Kyle is plenty of general dentists and specialists to choose from. You can be confident you can find just the right dentist for you. Emergencydentistsusa.com has a list of local dentists and specialists in the Kyle area. 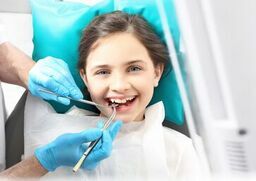 You can see that this list includes both general dentists and specialists such as periodontists, oral surgeons, pediatric specialists, and more. Look over the list, choose a dentist, and make the call to schedule an appointment. If you have trouble viewing the list, or just want further assistance, call our toll-free dentist finder hotline. When you place a call to our hotline, a trained team member is there to assist you. They are trained to listen to your concerns and help you find the right dentist or specialist. We understand the process can be stressful but we are here to help you. We can help you through the entire process, even scheduling the first appointment for you. We recommend that you bring your ID, insurance card, and payment method with you to your appointment. Also have a list of your current medications and allergies. Arrive 15 minutes early to give yourself time to relax and fill out necessary paperwork. If you are new to Kyle, TX, you may be unaware of the options when it comes to a dentist. Kyle has many dentists and dental specialist available from general dentists to cosmetic dentists to pediatric specialists. Before you go to see a specialist, you should first confer with your general dentist first. If he or she determines you should see a specialist, you will be referred to one. Description: The office of Neo Dentistry takes pride in offering quality state of the art dentistry to you. We provide you with all the treatment options available for your dental needs. We want you to be comfortable while your visit us. Dr. Alamo and Dr. Gonzalez offer a wide array of dental services including cosmetic, extraction, implants, crowns, bridges, and much more. We accept most private insurance plans and will bill your insurance. We look forward to seeing your smile. Description: Dr. Paulette Sanford has been in private practice since 1993 and is very active in advanced dental programs. We treat you like our family and have the skills to help you keep and maintain your smile. We want you to have the smile you have always wanted. Our office provides an array of treatments from cleanings, fillings, whitening, and much more. We accept most insurance plans and will process your claim for you. We look forward to serving you and your family. Description: The office of Clear Springs Family Dentistry understands that your time and money are important to you and we provide a wide range of services in one convenient friendly office to support you. Our office provides everything from dental implants to cleanings and much more. We accept most major credit cards and offer financing to make keeping your oral health possible. We look forward to speaking with you. Tooth pain that lasts longer than an hour is a sign that you need to seek treatment as soon as possible. Toothaches caught early can prevent future complications from arising and save you money in the long run. If your pain is associated with an accident of any type, seek treatment at an ER before visiting the dentist to rule out further issues. When you are visiting a new dentist, it is important that you verify their credentials and license. This can be done through the Texas Dental Association website and using the search tool to locate the dentist’s information.